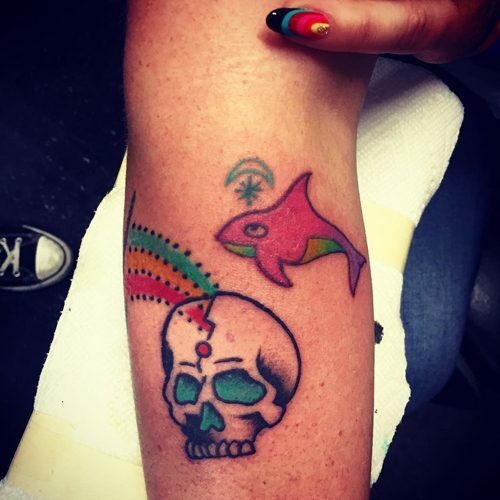 Kesha gets a watercolor tattoo with a skull and a red shark on May 7, 2017. 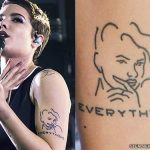 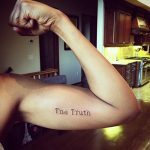 The new ink art is on her right forearm and it was made by tattooist Walter Mcdonald. 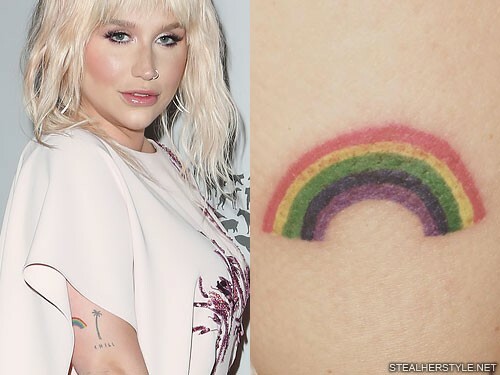 Kesha added a rainbow next to her palm tree in February 2016 as a symbol of luck. 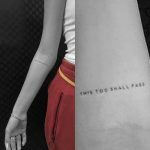 “Good luck charm,” she wrote on instagram. 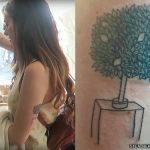 There are no black outlines on the tattoo, so over time the colors will blend together as it fades.